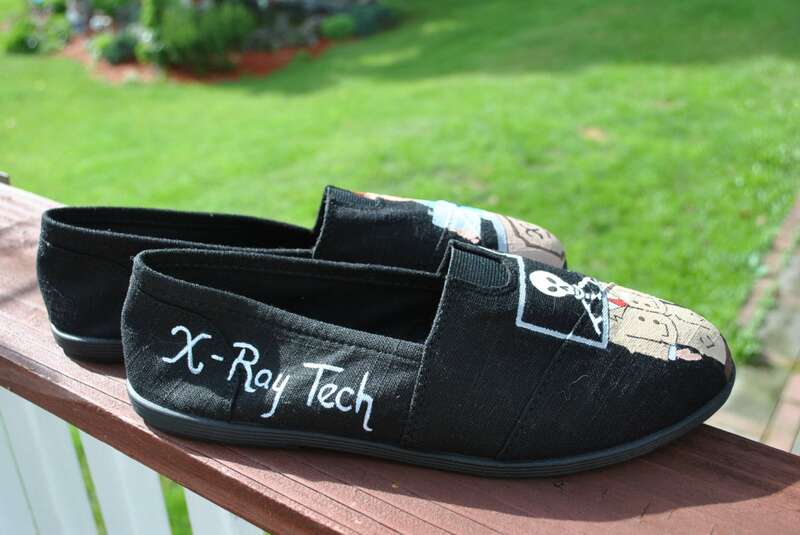 SOLD - HEEEEEEY X-RAY TECH'S here are a pair of funny and cute shoes for you size 8.5. 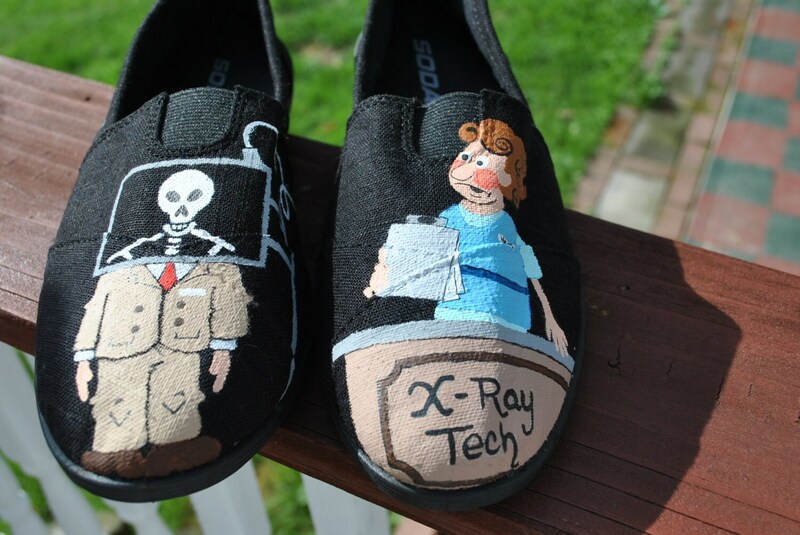 I love nurses and a friend of mine said I'm not a nurse I'm an X-RAY TECH. 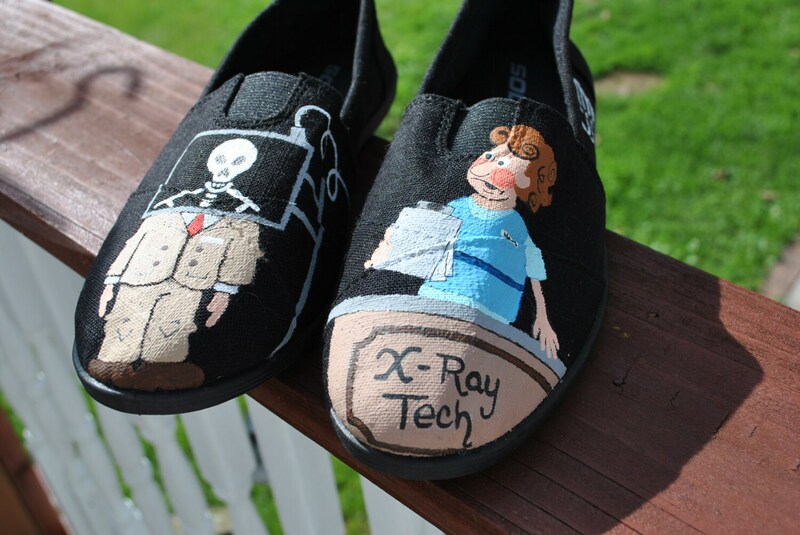 And she seamed proud but a little down because she knows how much I love my nurses. But I said your like a nurse too.... you take care of your patients on the inside that counts. I love you all and treat you the same ..... which is the way you treat us all the same as patients right... your a nurse to me.